Visitor numbers tripled last year and authorities admit they have been unable to cope. 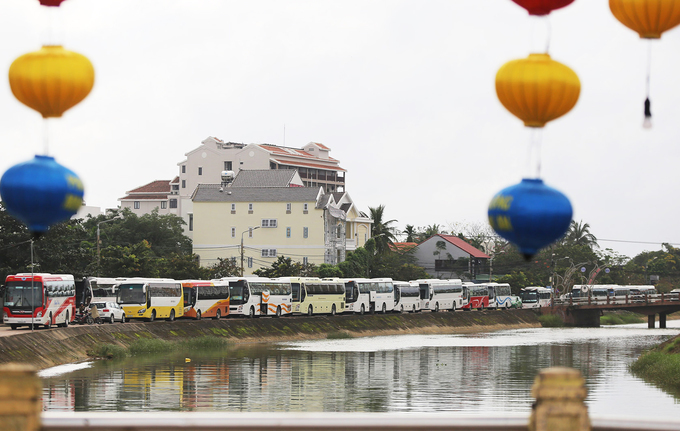 Lines of tour buses parked along a road in Hoi An. 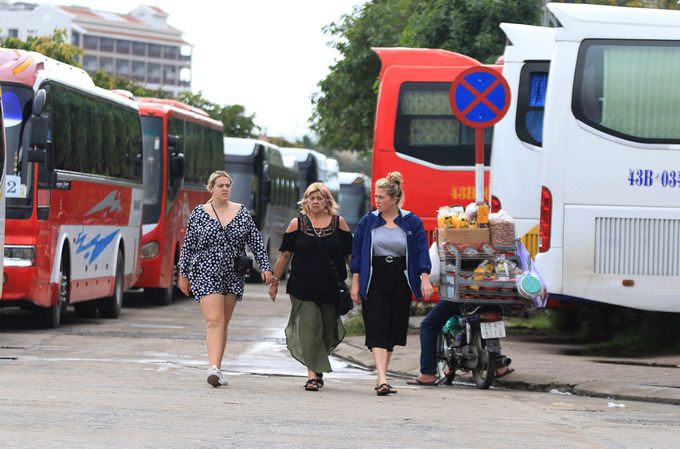 For over a year now tour buses have been parked on sidewalks and roads in the center of Hoi An ancient town, blocking traffic and tarnishing the image of the town in the eyes of tourists. 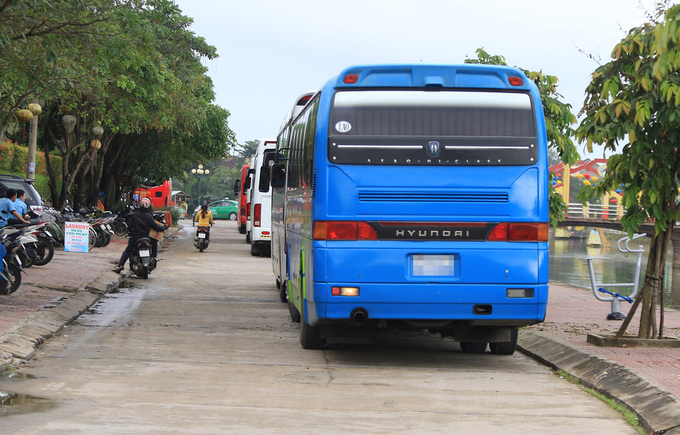 Despite a parking ban after 4 p.m. on Nguyen Du Street, tour buses can still be seen parked in long lines here. 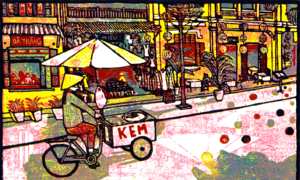 Nguyen Du lies outside the walking area of Hoi An ancient town, so vehicles are not banned but they are not allowed to park there. 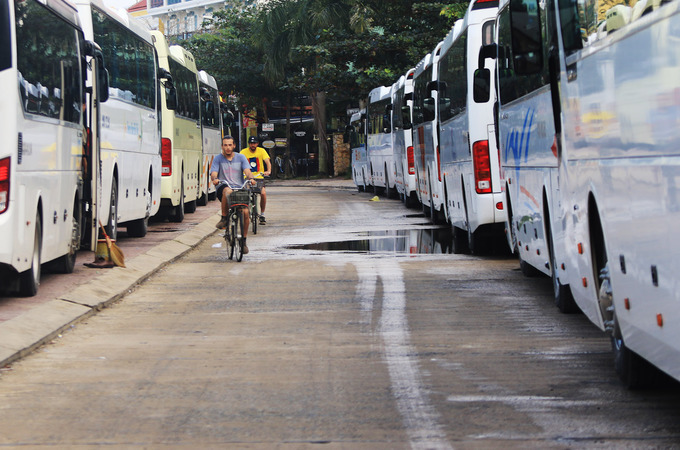 One half of Nguyen Du is occupied by buses. "We know parking here is against the rules," one driver explains. "But we have to do it because there isn't enough parking space inside the town. If we park outside [town], our customers will have to walk longer distances." 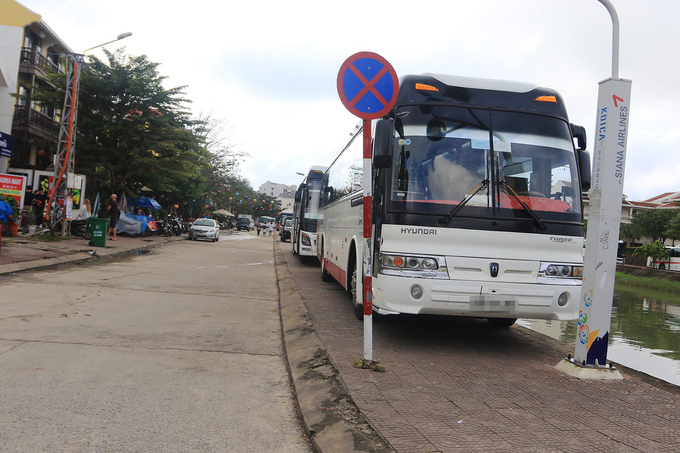 Buses parked on the sidewalk on Thoai Ngoc Hau Street just beside a 'No parking' sign. 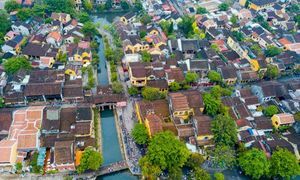 At the end of 2017 Hoi An authorities tried to reduce the number of large vehicles going into the town's central part to relieve congestion. But they are helpless after the number of visitors tripled last year to around six million. A street taken over by buses. 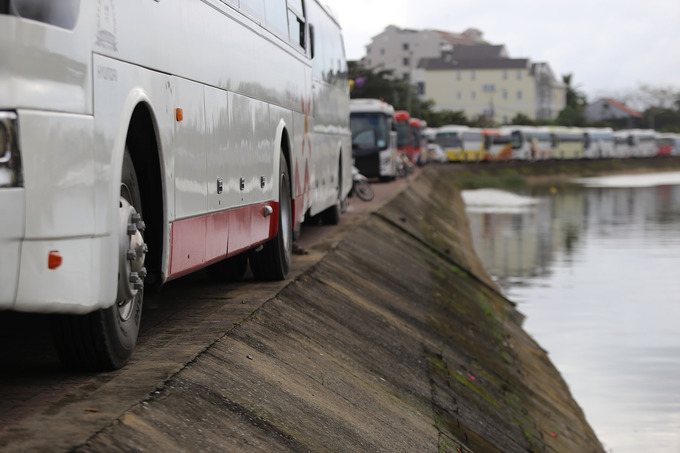 Visitors cannot see much of the town because of the buses parked all over the place. A road along the Hoai River. 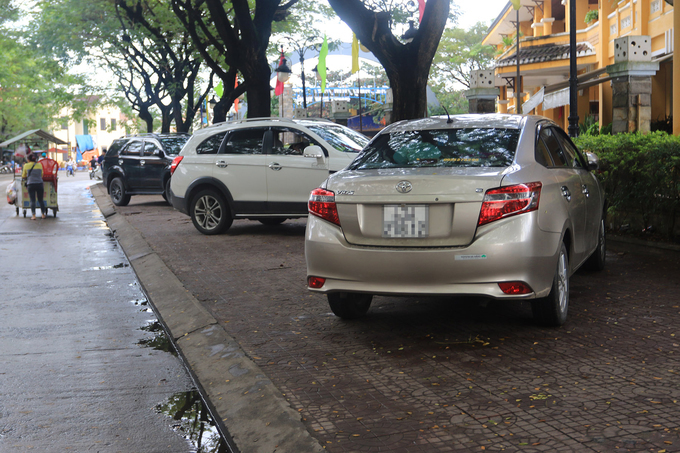 Vo Huu Dung, deputy chief of Hoi An's Urban Management Department, said: "While the police do fine drivers who park their vehicles in inappropriate places, there are too many cases. We are thinking of using cameras to catch violators instead." 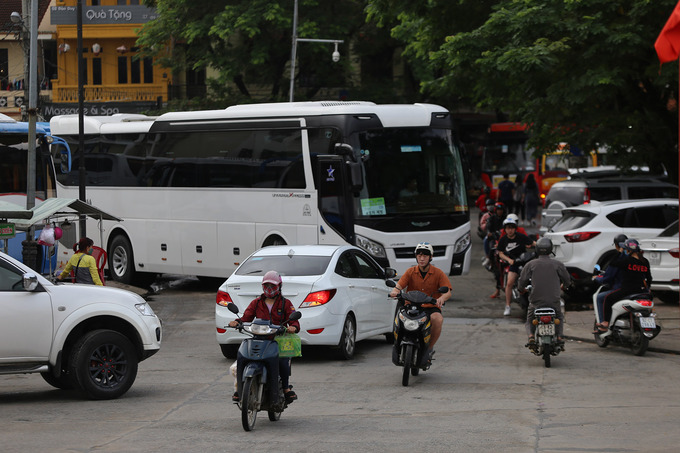 Traffic on Cao Hong Linh Street is especially chaotic from 5 p.m. to 7 p.m.
Cars take a leaf out of the buses' book on Cao Hong Lanh Street. 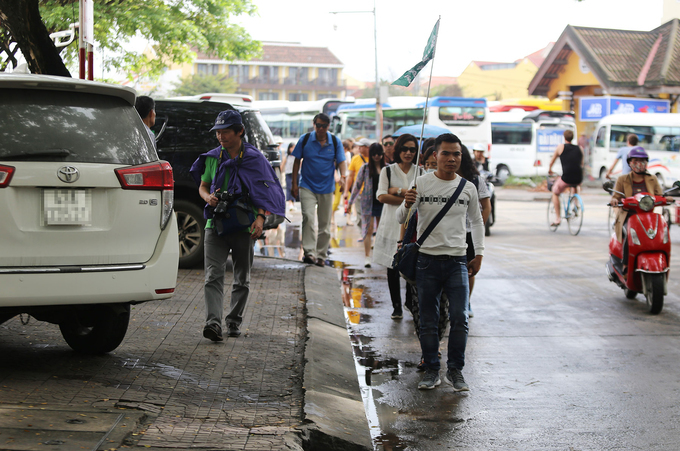 A tour group has to walk on the carriageway since the sidewalks have been taken over by vehicles. The town does not have enough designated parking spaces right now. 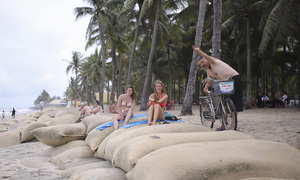 But three tourist reception centers are planned to be built, each costing around VND70 billion ($3 million) and funded by various sources. Seventy percent of their area would be earmarked for parking. The centers are expected to be ready by the second quarter of this year.